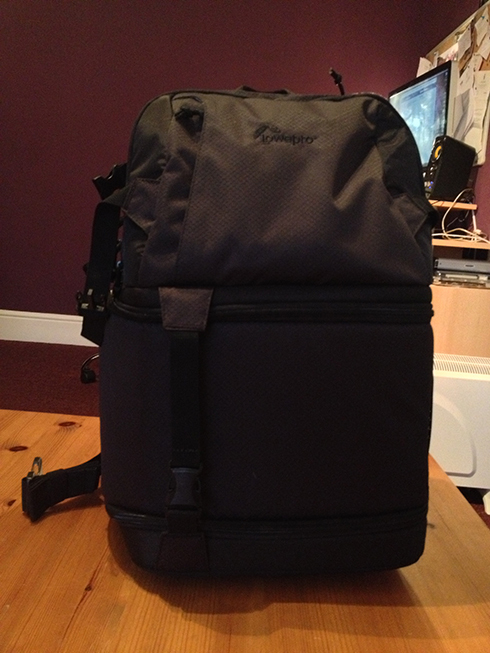 I’ve been using the Lowepro Fastpack Video 350AW bag now for a few weeks and I’m really liking it so far. 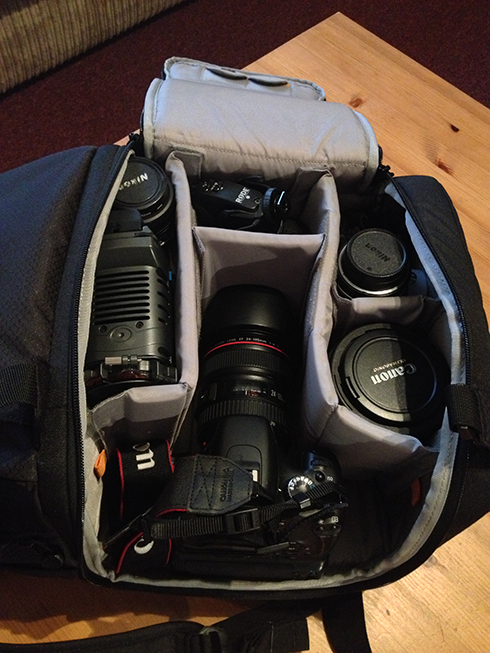 It has more than enough room for all of my main equipment when out shooting video. 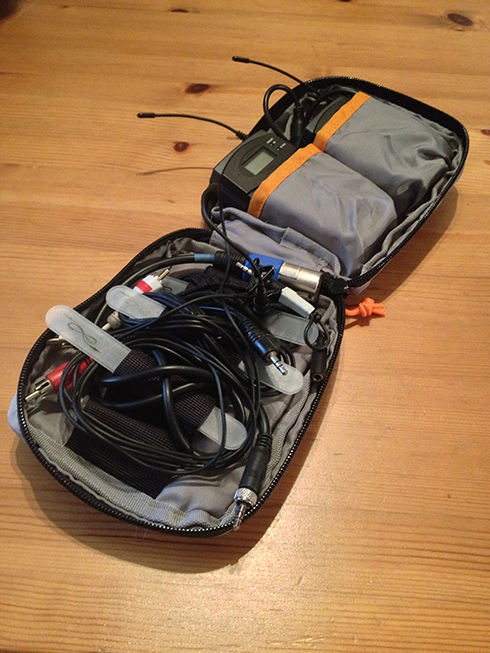 The separation of compartments for audio and video is the thing I like the most about the bag. It even has a handy compartment for a 17″ MacbookPro! I can fit my Canon 550D body with 24-105mm f4 lens attached, Tokina 11-16mm, 50mm, 24mm, video light, GoPro, Rode Mic, LCDVF in the video compartment with a little room to spare, whilst in the top compartment you’ll find my Tascam DR40, audio cable pouch with Sennheiser radio mics, Headphones, cables & batteries. When fully loaded this bag weighs a tonne. It has waist & chest straps to help spread the load away from just your back though. One of my only quibbles of the bag is that when it’s only your back you’re supposed to be able to sling it round off one shoulder for quick access to the camera. I don’t find this is the case as the zip appears to open from the opposite side that is natural to me as a right-hander. I’ve heard only people mention this in their reviews too and it’s slightly annoying. 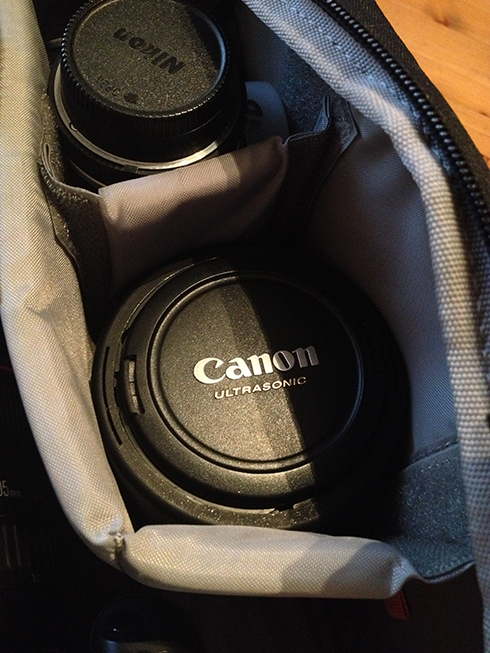 Otherwise this bag is a great all-round solution to carrying kit on the move.